Prospect Review: How Did the Next-Generation Washington Capitals Do In Their First Preseason Game? The beauty of the first few preseason games, for those of us who love following and studying the future of the Capitals, is that the games provide plenty of opportunity to see the Capitals rookies and prospects in near NHL-level action. 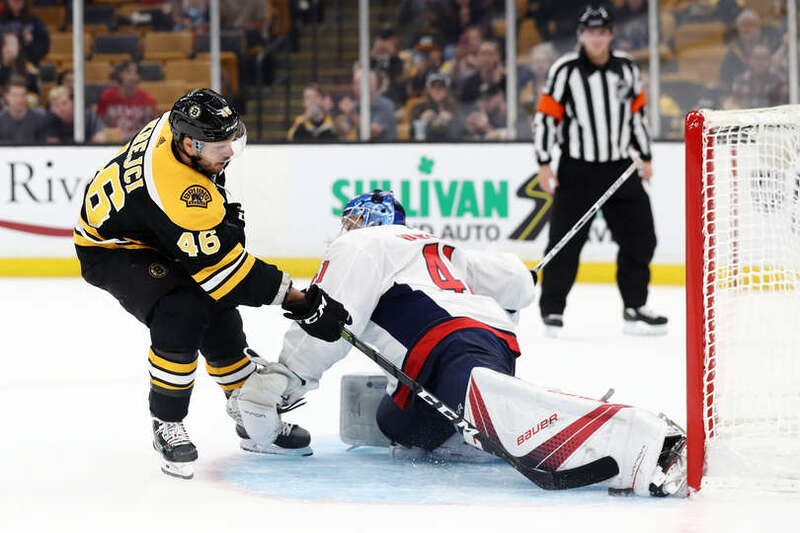 Sunday’s first preseason game in Boston was no different, as no less than 12 prospects were in the lineup for the Capitals against the Bruins. (The game recap can be found here). For those watching football on Sunday, here’s how the Capitals prospects fared in their first NHL action of the fall. If there isn’t a summary for a player, then there was nothing really notable to report. We also didn’t summarize Caps roster players. (Burakovsky, Djoos, Vrana, Stephenson). 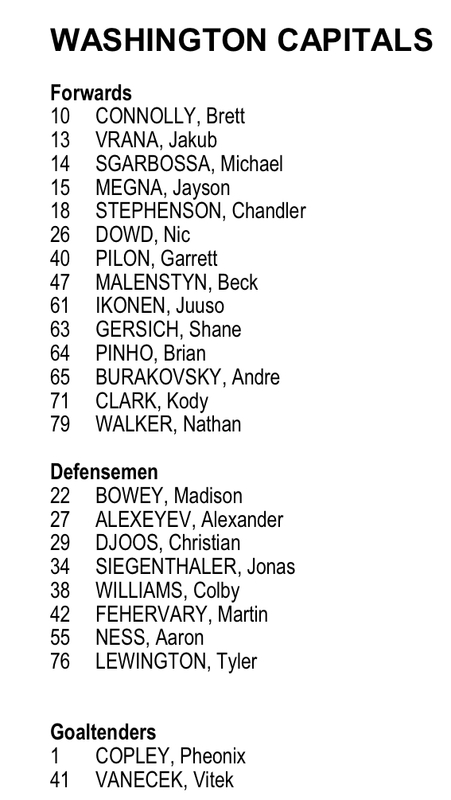 Nic Dowd, Shane Gersich, Madison Bowey and Alexander Alexeyev did not dress for the game. Next preseason game is Tuesday at Capital One Arena, when the Caps host the very same Bruins. This entry was posted in News and tagged Boston Bruins, Brian Pinho, Jayson Megna, Pheonix Copley, Tyler Lewington, Vitek Vanecek. Bookmark the permalink. 8 Responses to Prospect Review: How Did the Next-Generation Washington Capitals Do In Their First Preseason Game?